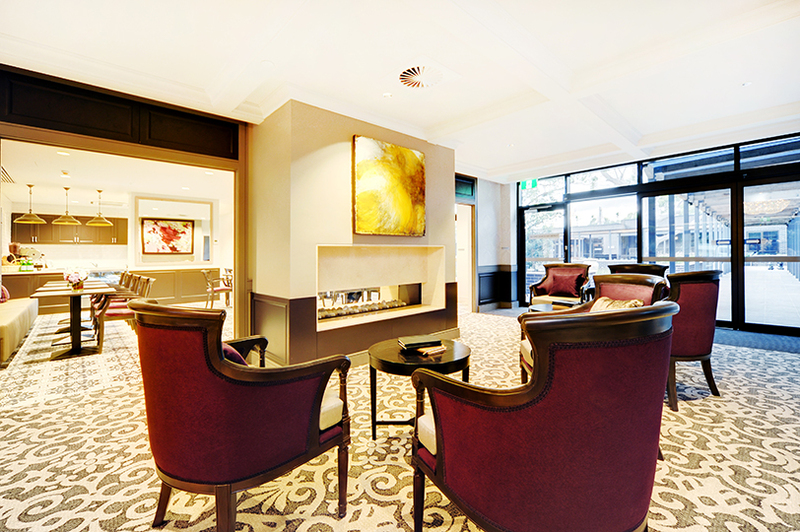 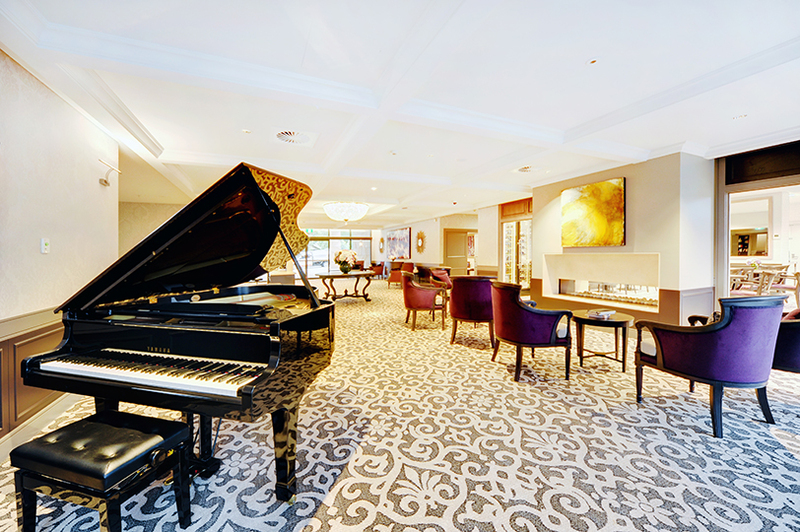 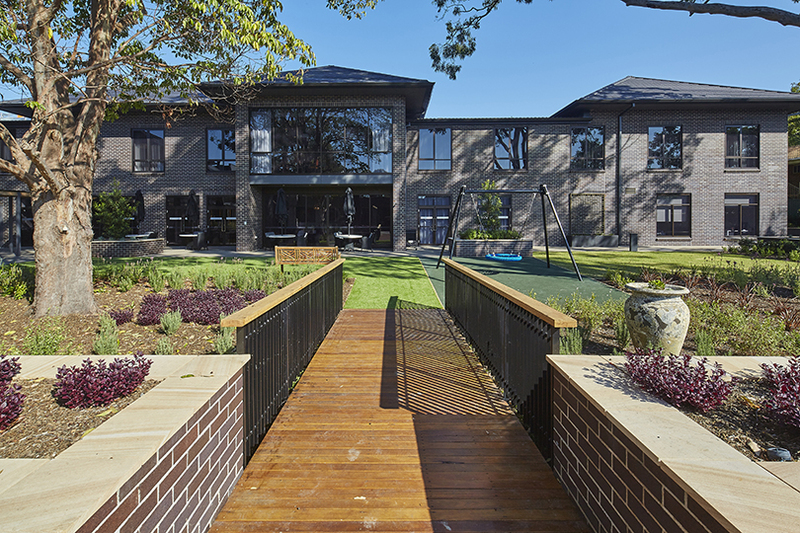 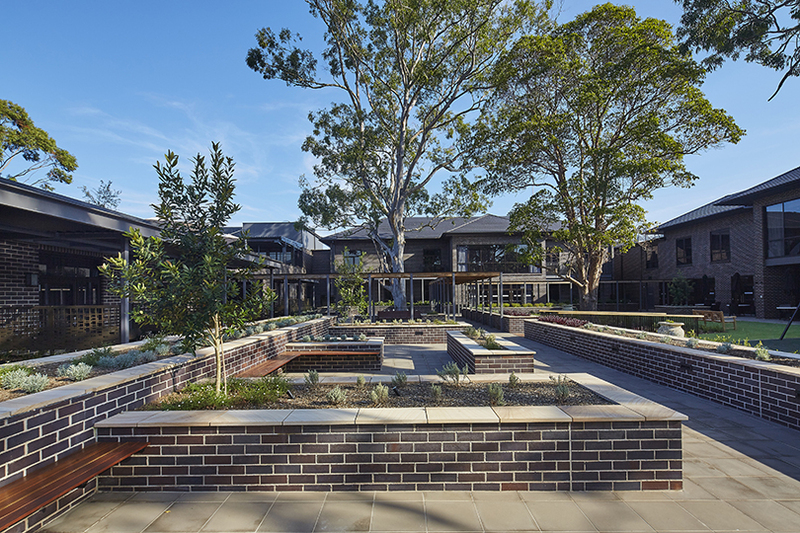 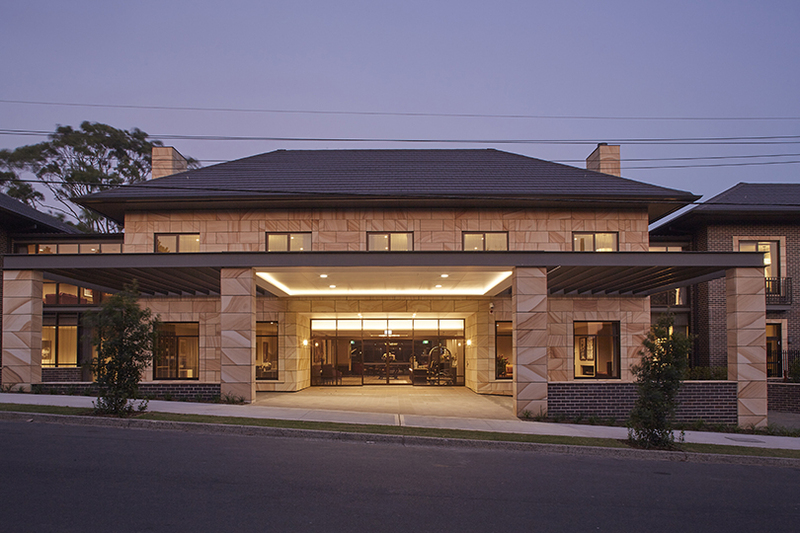 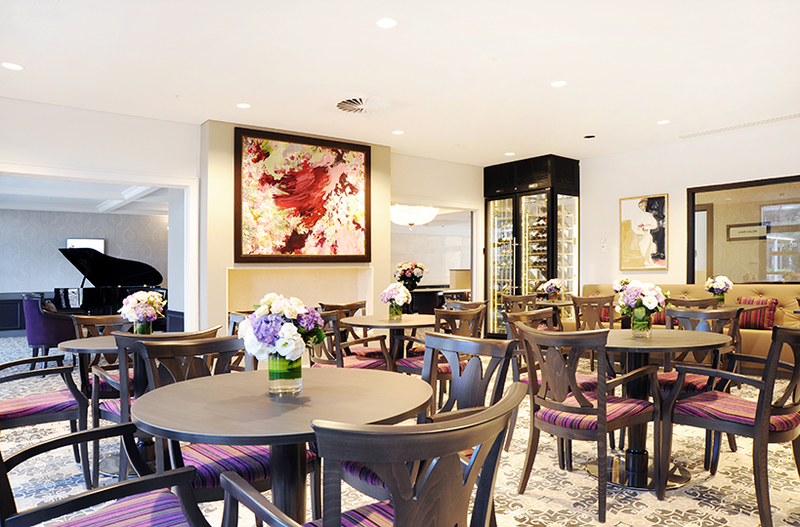 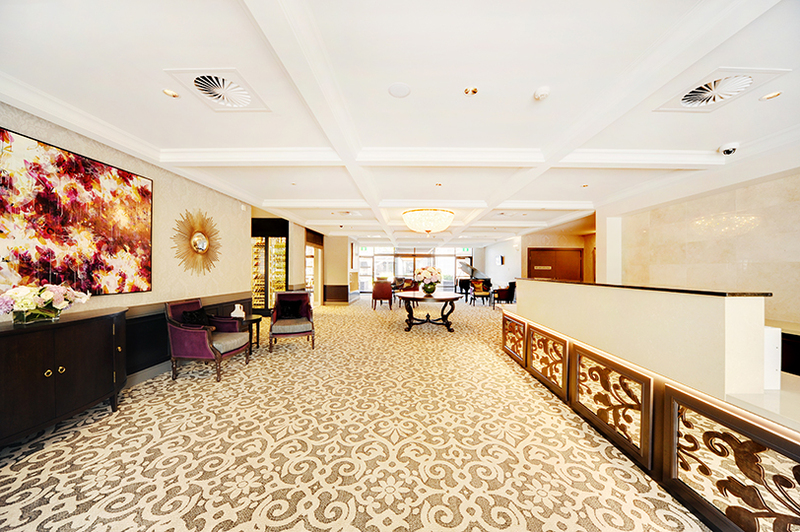 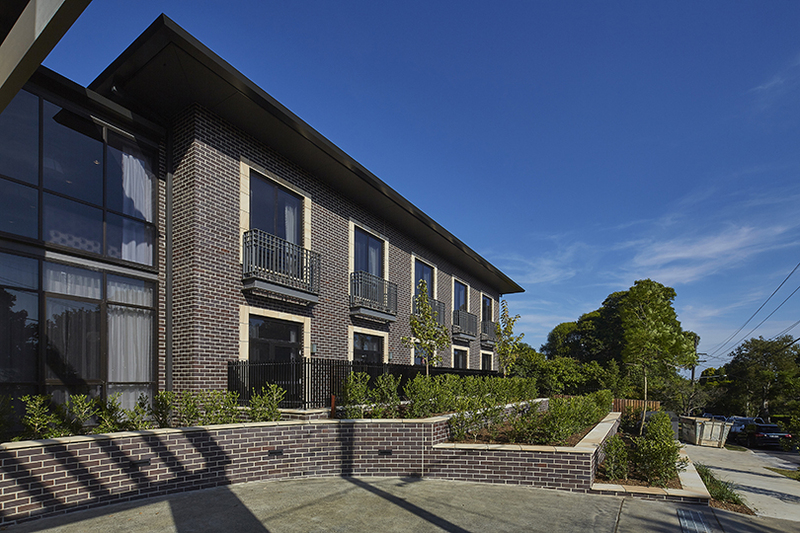 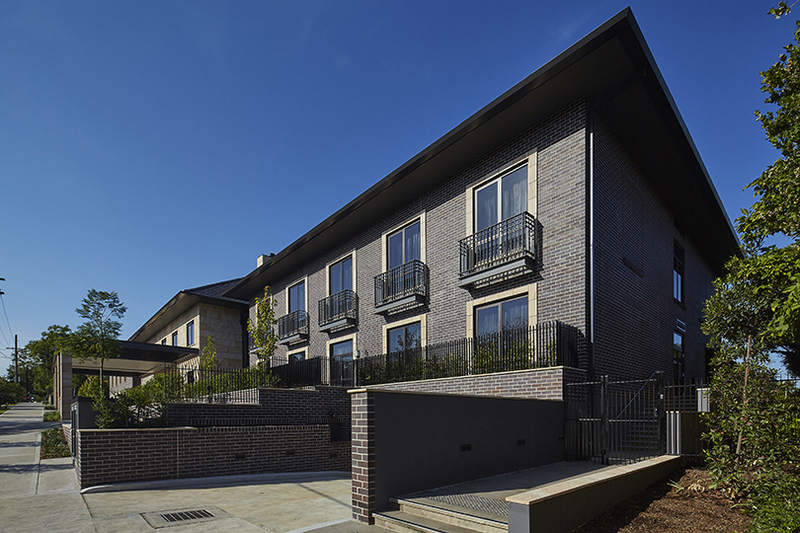 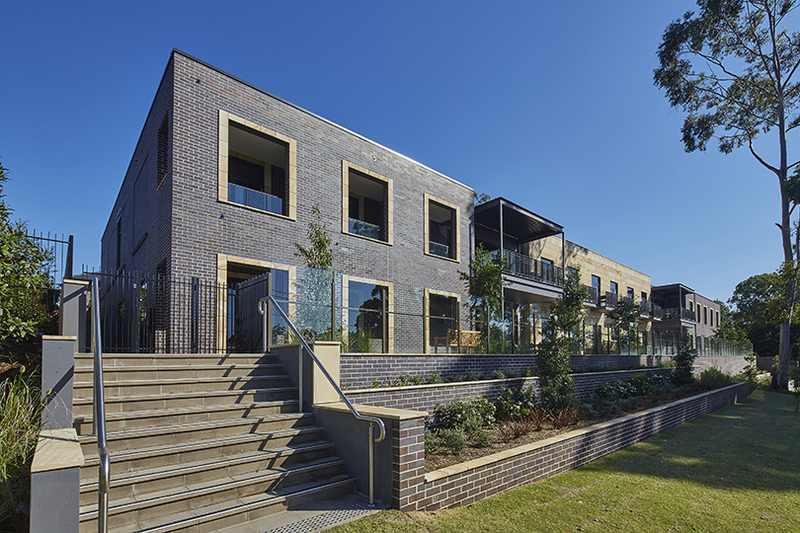 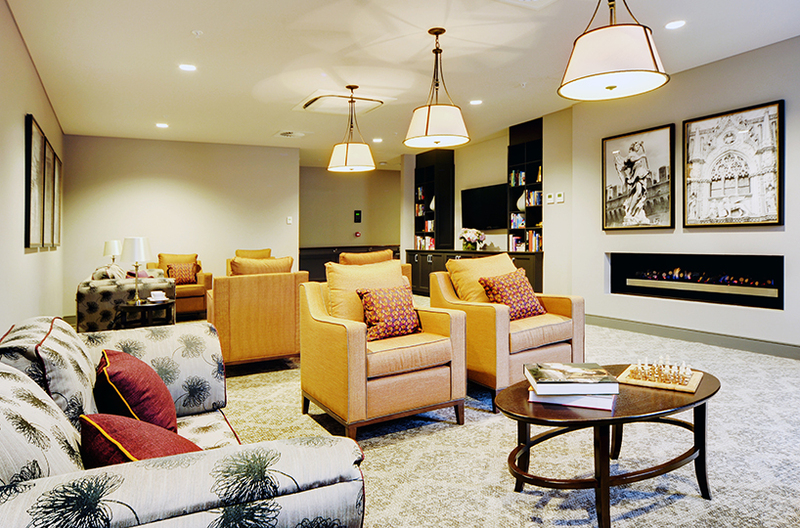 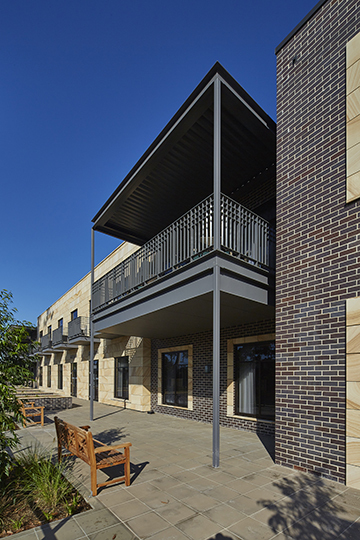 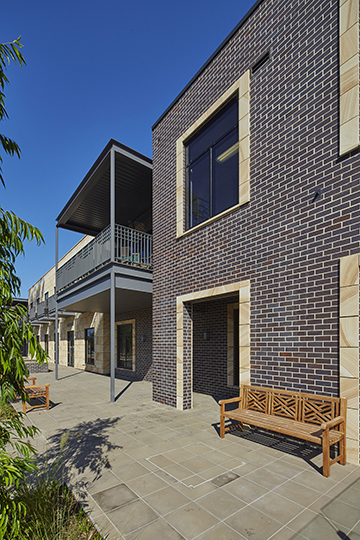 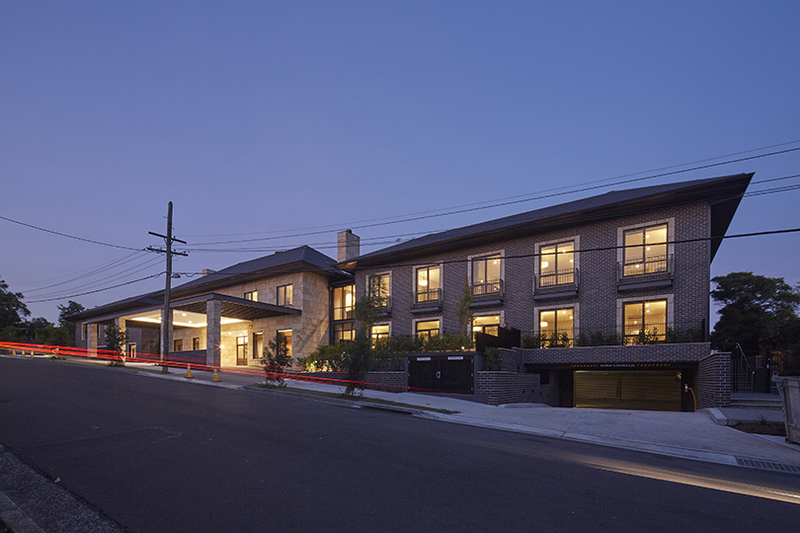 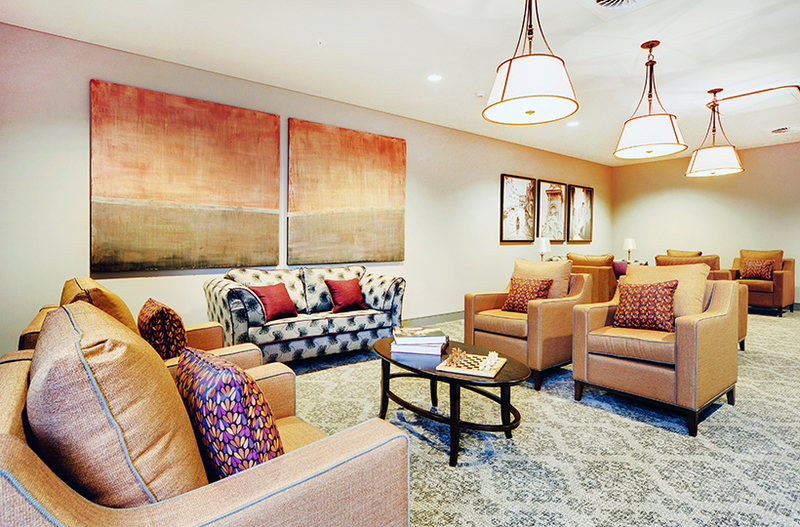 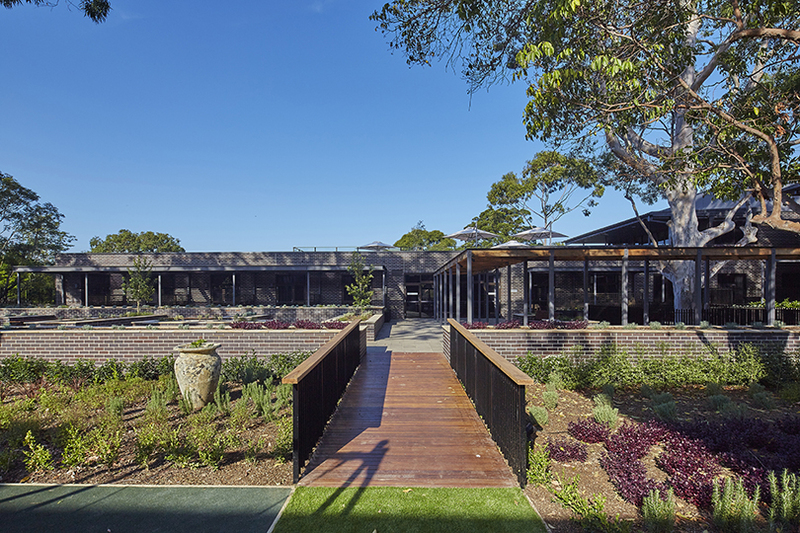 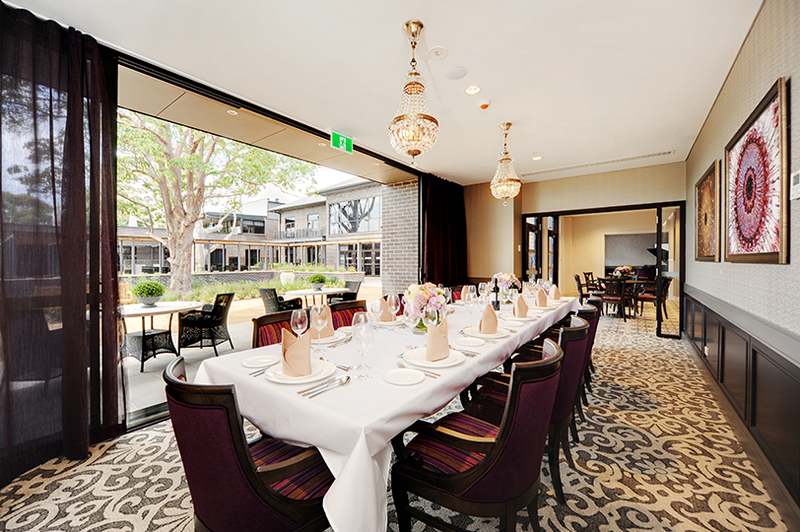 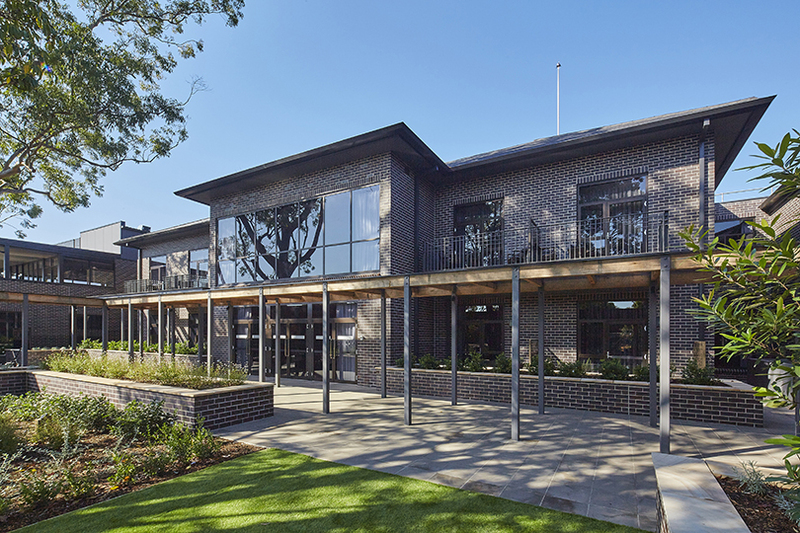 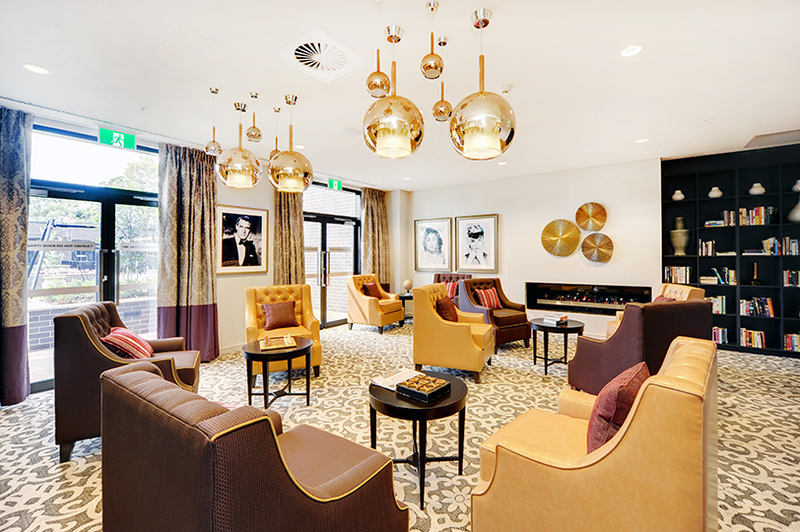 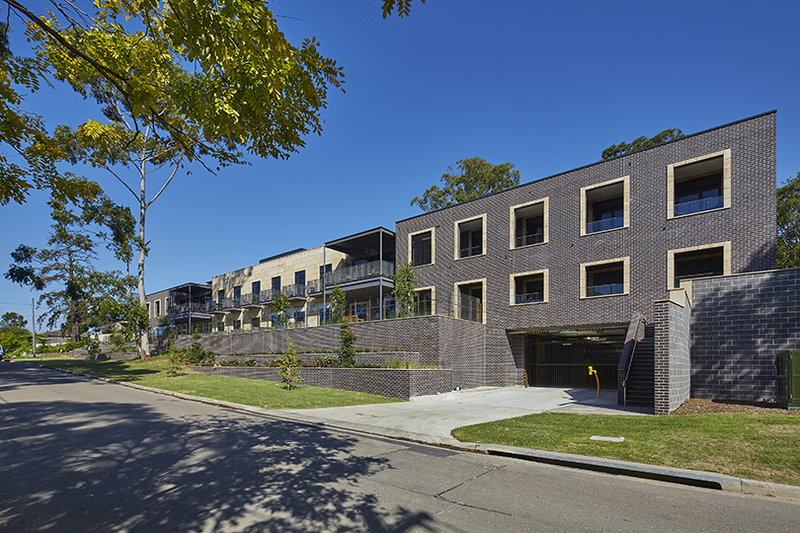 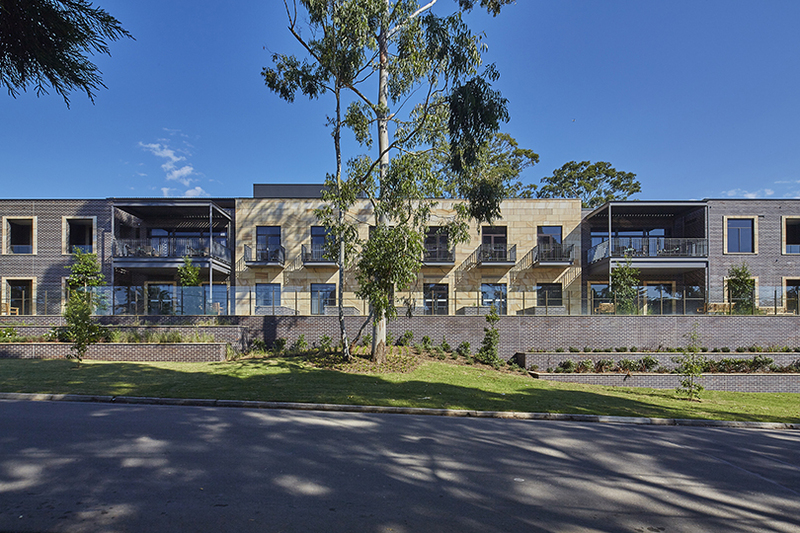 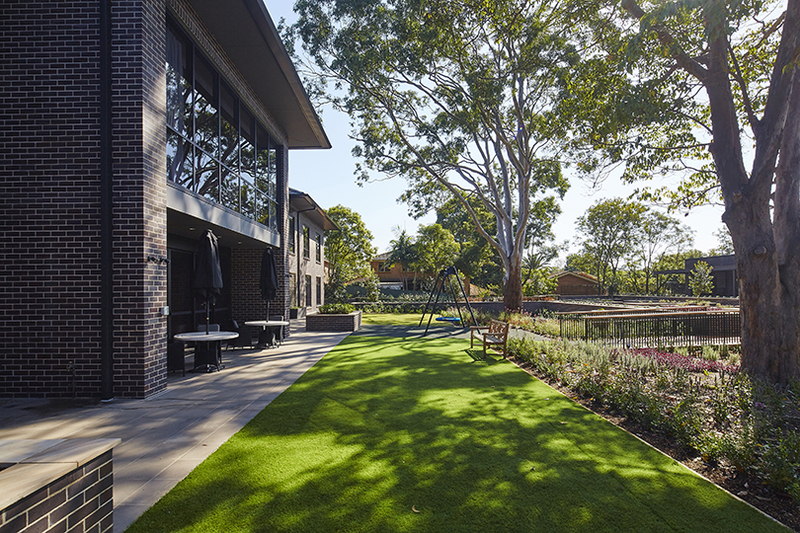 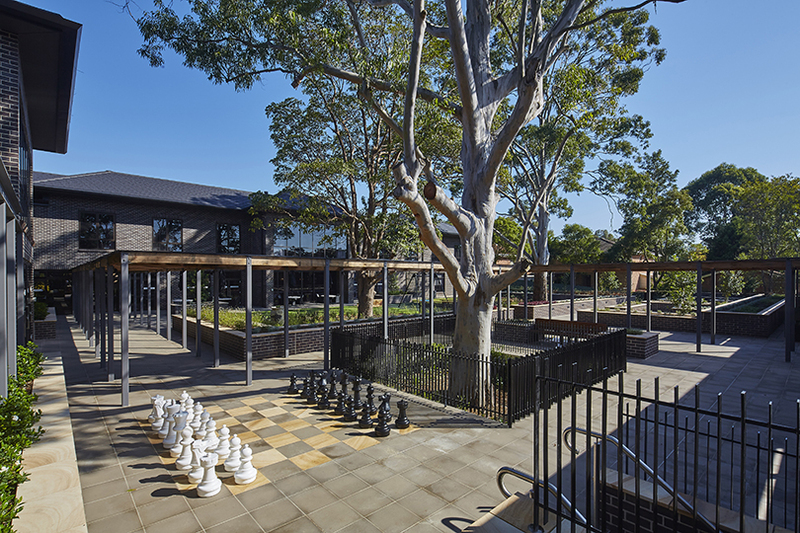 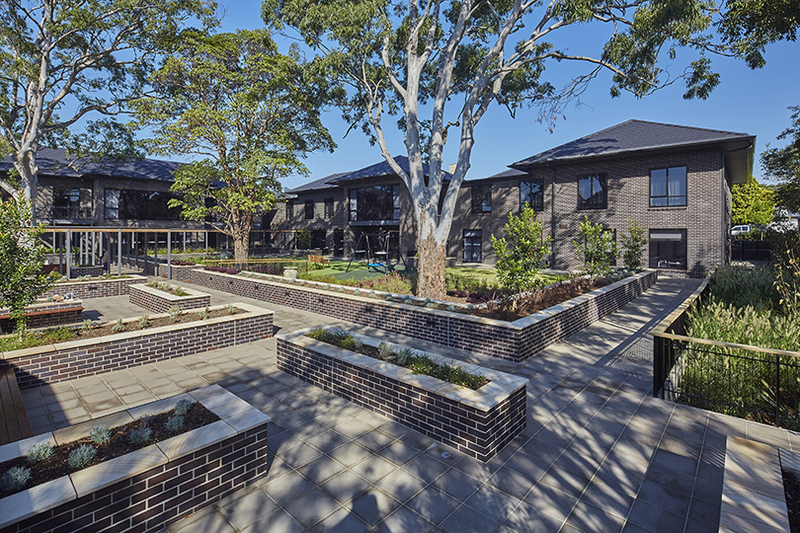 Grindley were engaged under an Early Contractor Involvement (ECI) to Design and Construct contract to complete Allity’s stunning new 107 bed aged care facility in Normanhurst. 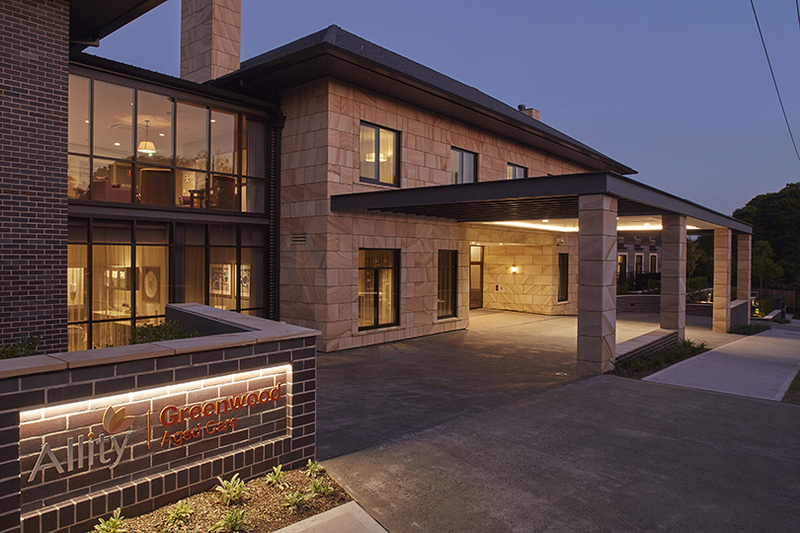 Allity Greenwood is the premier facility for Allity nationally, and sets their benchmark for high quality assisted living. 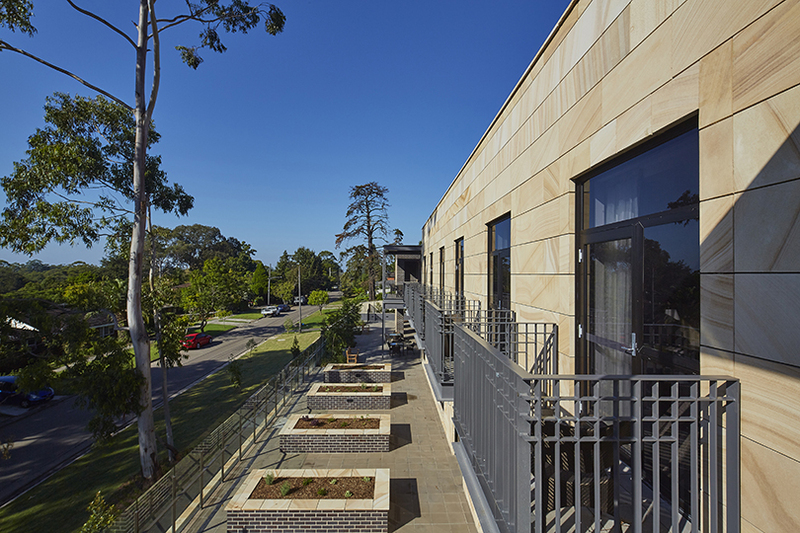 Constructed on a split level site, this facility is spread over four levels, which terrace down the slope between two street frontages, providing public and service access. 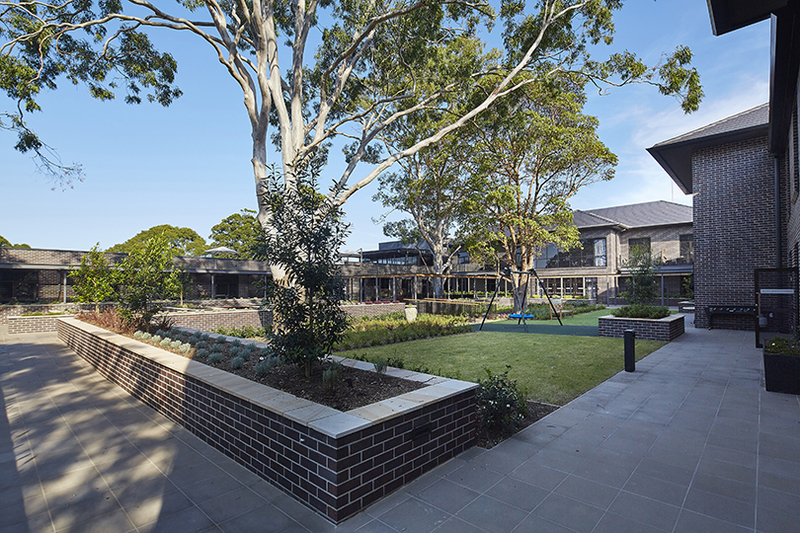 Specific challenges were faced due to protected mature trees on site, which governed both design outcomes and construction methodology. 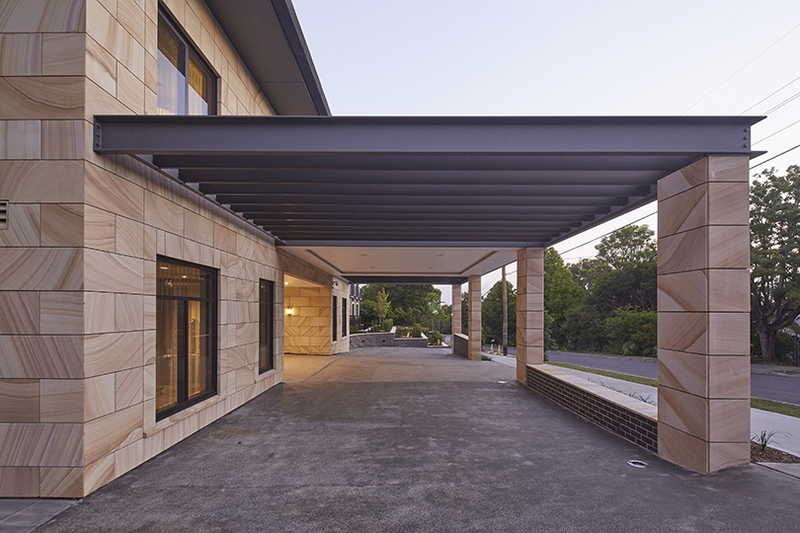 The building comprises two basement level carparks for staff and visitors being built using the dincel wall system and post tensioned suspended slabs. 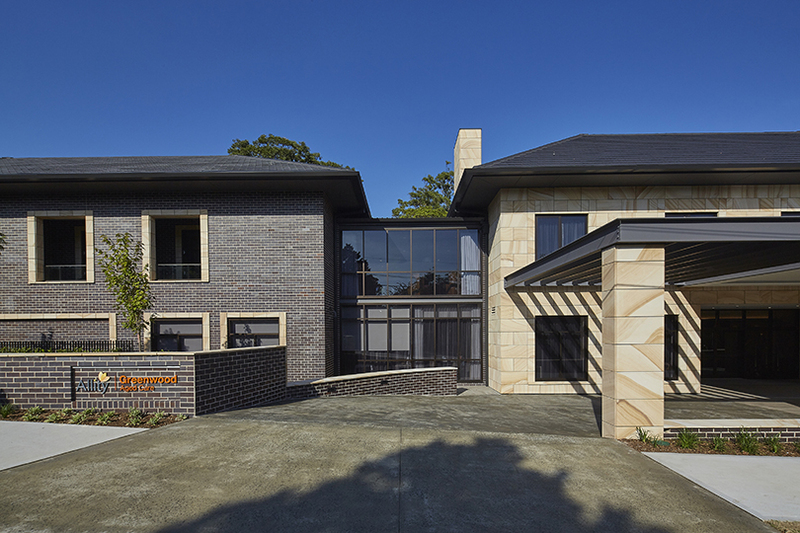 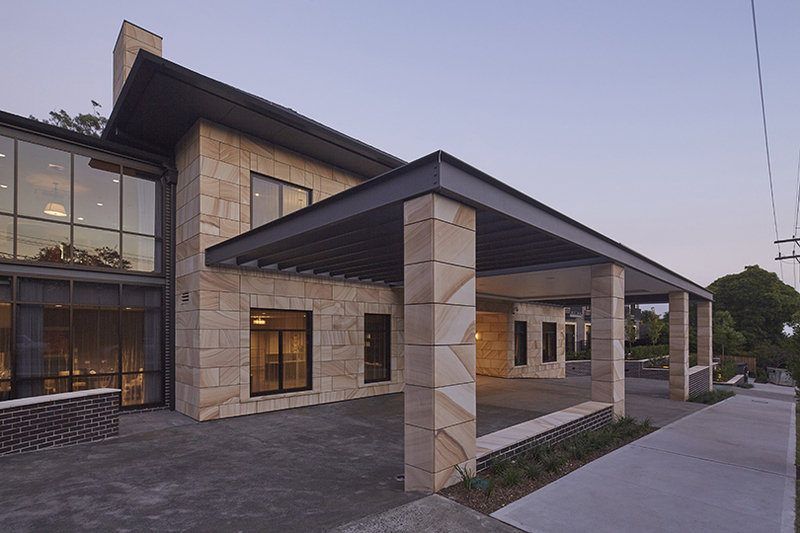 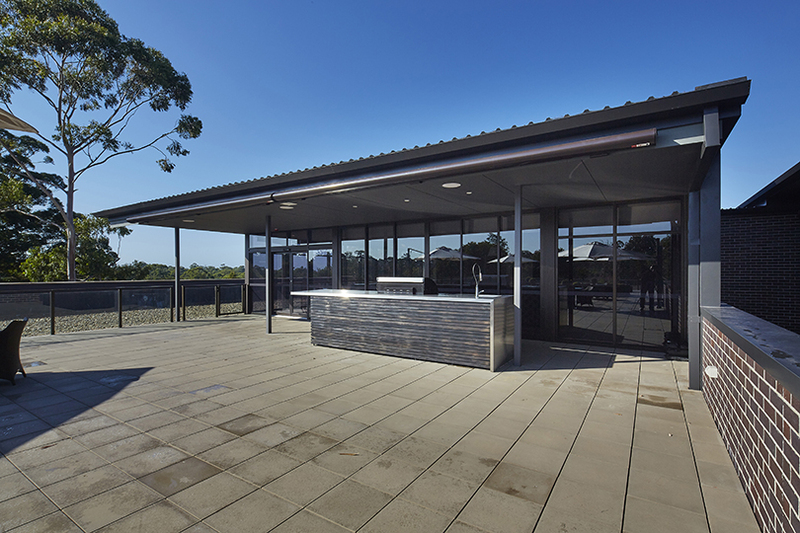 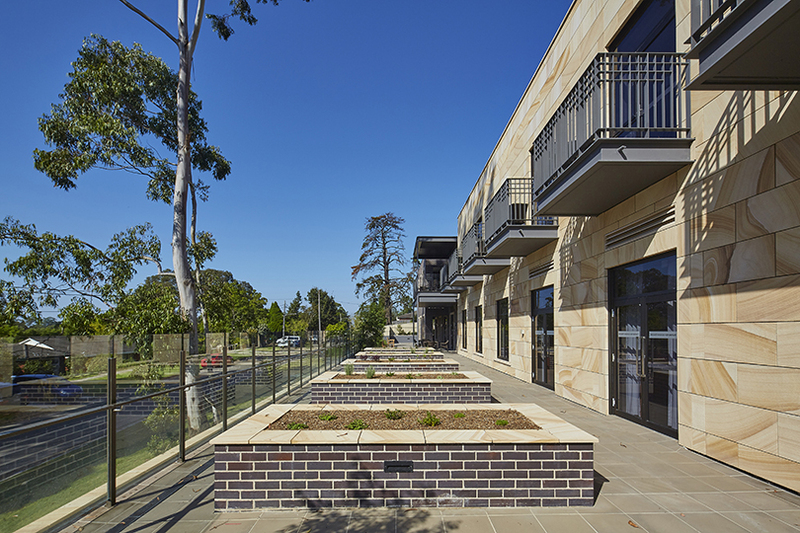 The entire facility was completed with an extremely high standard of joinery and finishes, with the building’s façade being made up of Bowral blue bricks and rough sawn Hawkesbury sandstone. 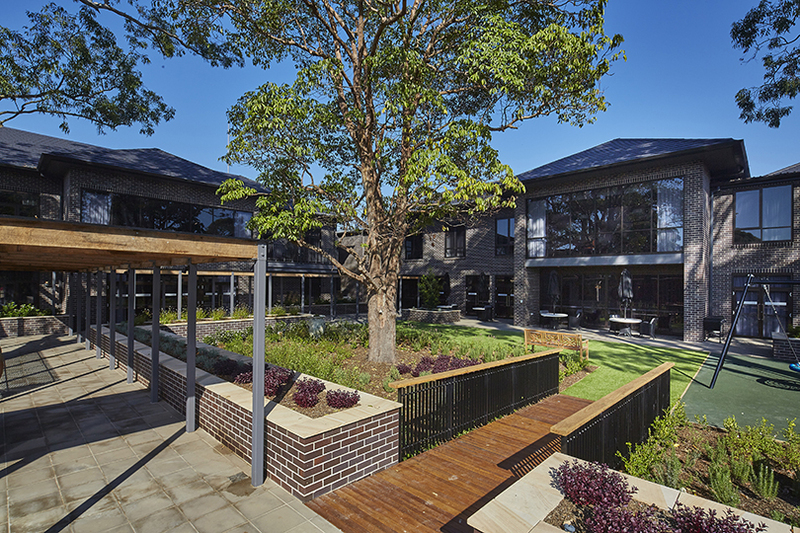 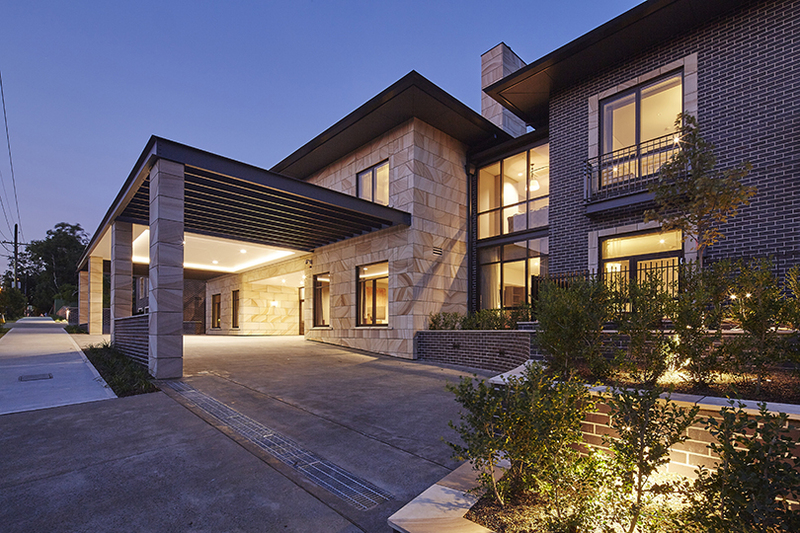 The entry level features luxurious public facilities which open out onto a central courtyard inclusive of several preserved trees, landscaped gardens and a paved outdoor entertaining area. 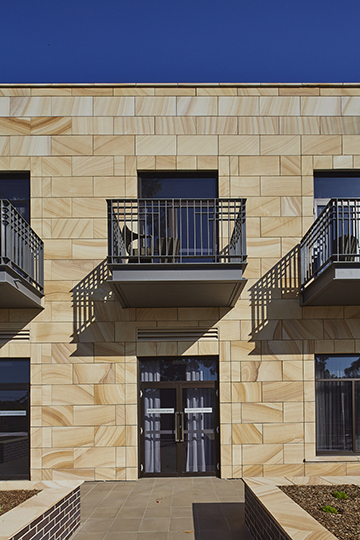 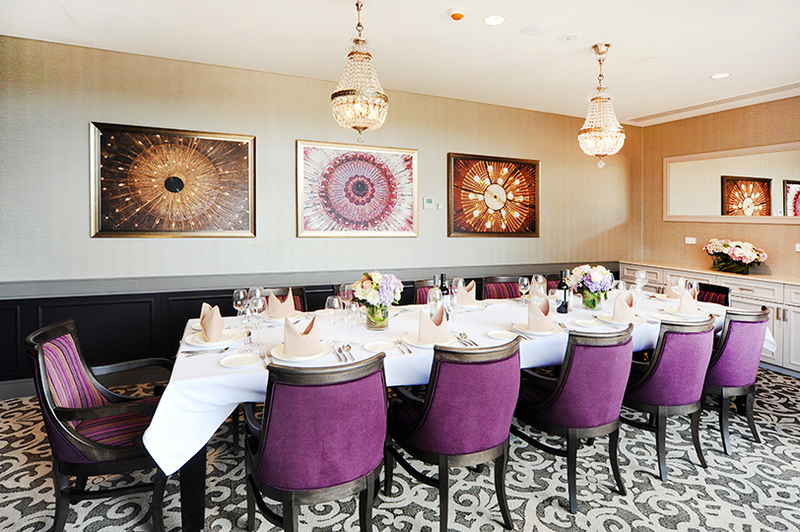 The facility provides 107 rooms in a mix of large suites and one bedrooms, with many private balconies and terraces. 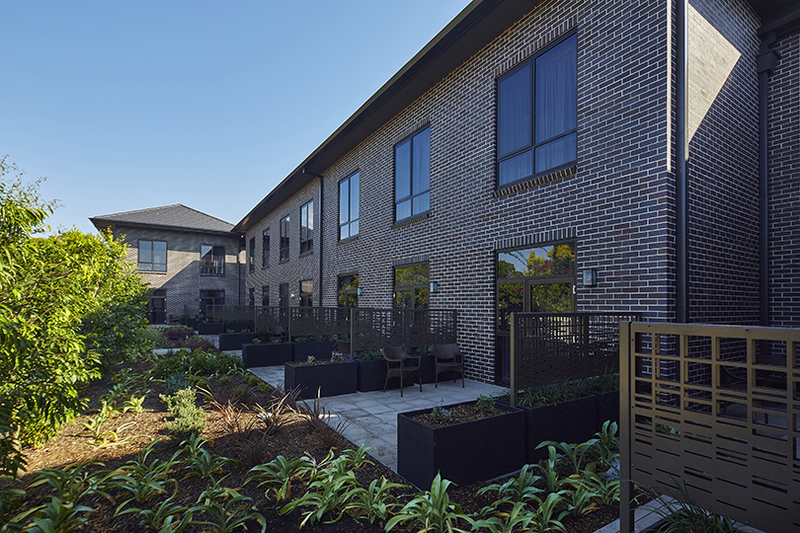 A separate and sensitively designed dementia specific floor incorporates its own discrete garden area. 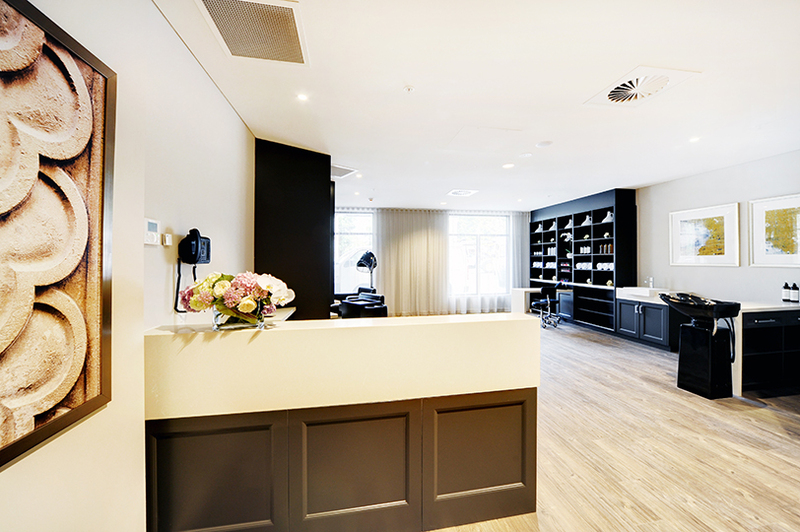 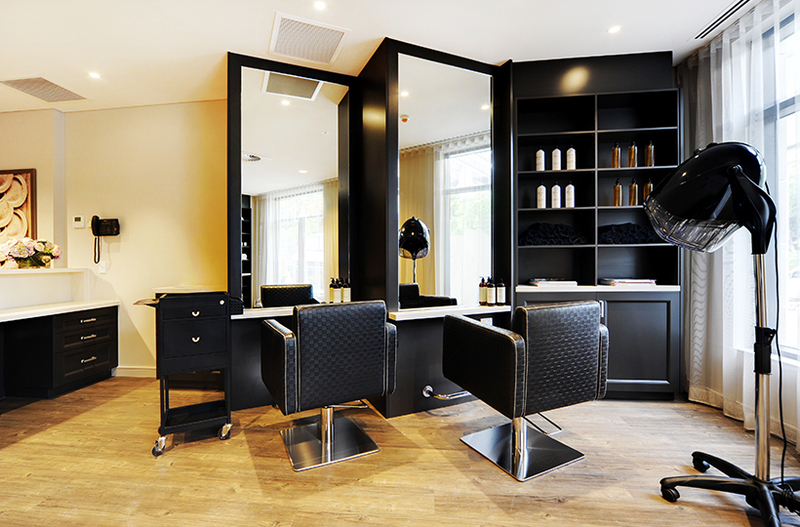 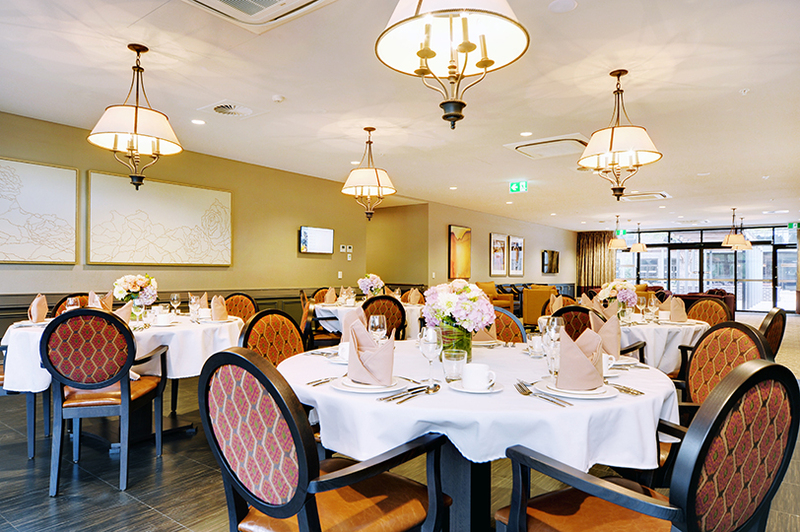 Other features include a physiotherapy room, wellness room, cinema, cafe, hairdresser and beauty spa, dining and activity rooms, various meeting rooms and staff offices. 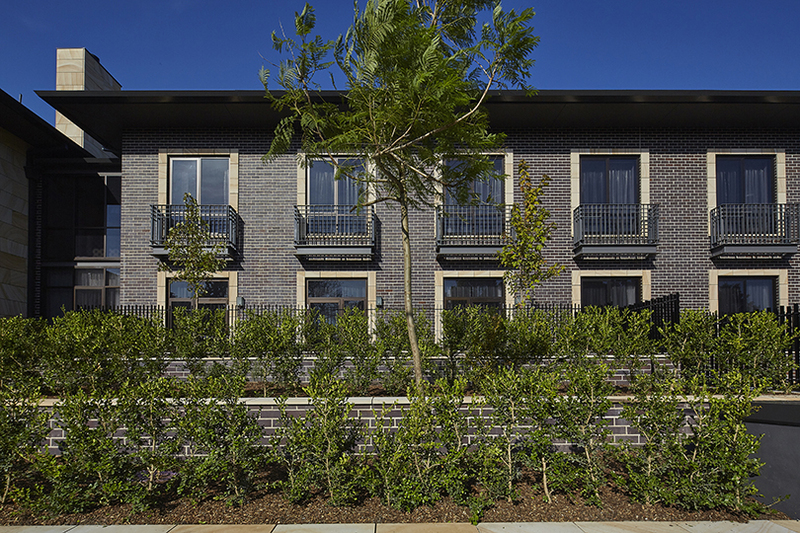 The upper level including a large extended roof terrace and garden providing additional outdoor amenities.